At last July’s Reggae Sumfest, I-Octane marked a career milestone when he closed Dancehall Night for the first time. After the show dancehall veteran Mr. Vegas questioned whether Octane was the right choice for this honour. This year, Octane refused the promoters’ offer to close the show again, suggesting that Vegas should do it. 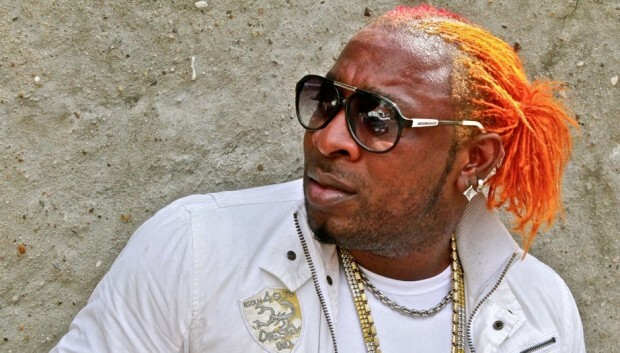 Over the last month, Vegas has replied with a video statement and song called ‘Ready Long Time’, which seems to take shots at Octane – who has since accepted the offer to close Dancehall Night. After all the back and forth, fans are waiting to see which artist brings their A game to the stage this time. 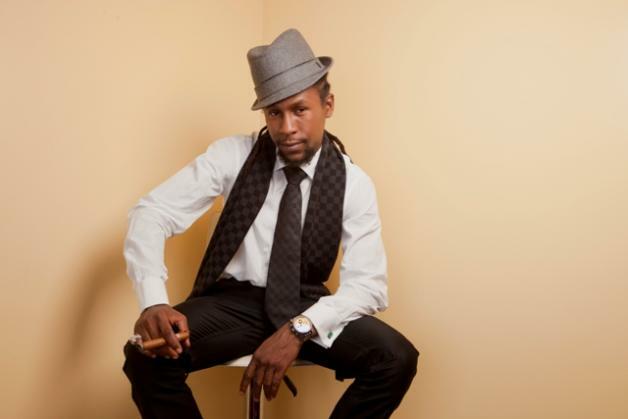 On his brilliant new release ‘Life We Live’, Jah Cure sings, “Bob Marley said have no fear / Everything is gonna be alright.” Its echoing of the chorus to ‘No Woman No Cry’ is no accident – Cure has often stated his desire to follow in the footsteps of the greatest reggae artists who ever lived. This song, produced by Sketch Carey, is one of his finest. It’s been a big year for Spice (pictured main), whose video for ‘So Mi Like It (Raw)’ has racked up almost four million YouTube views and inspired Busta Rhymes to jump on a remix. What could she do to top herself? How about changing her gender? 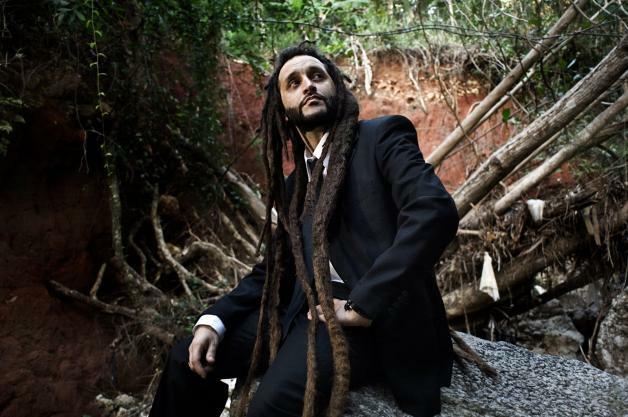 When the Italian-born reggae singer Alborosie isn’t touring the world, he spends most of his time in his studio at home in Jamaica. 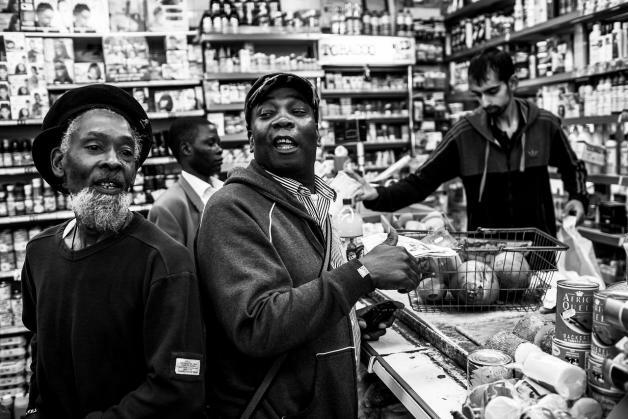 The latest product of his efforts is the album ‘Specialist Presents: Alborosie & Friends’, a collection of duets with a wide range of reggae talent – Michael Rose, Horace Andy, Etana, Busy Signal, Sizzla, and fellow European reggae star Gentleman. The album dropped via V.P. Records on June 17th. More information on Facebook. There’s no doubt the hottest riddim in rotation this month is DJ Frass’s ‘Gwaan Bad’, a pulse-pounding digital track reminiscent of Dave Kelly’s classic 1990s beats for Madhouse. ‘Gwaan Bad’ boasts a crazy line-up of artists including Mavado, Elephant Man (pictured), Mr. Easy and Lady Saw – not to mention two tracks by incarcerated superstars, Vybz Kartel and Buju Banton – all deejaying some of their baddest lyrics in years. Dennis ‘Blackbeard’ Bovell may be clean-shaven these days, but he’s still a cornerstone in the UK reggae scene. From his Jah Sufferer sound system to his work with Matumbi, LKJ, and lovers rock pioneer Louisa Mark, Bovell has had a profound influence on British reggae. So when he turns up with some tunes to spin, you know it's going to be special. On July 9th he will be dropping some rare selections at the Dub Me Always night at Upstairs at the Ritzy, in Brixton. Details. Reggae Sumfest always stands apart from other festivals. For more than 20 years, the three-night showcase of the best Jamaican talent alongside a handful of rap and RnB stars has proven a winning formula and 2014 appears to be no exception. This year’s headliners include dancehall superstar Sean Paul – who has not graced the MoBay stage for 10 years – along with Future, Jason DeRulo and Wiz Khalifa. Beenie Man, Chronixx, and Jah Cure will also appear on International Nights. Thursday’s Dancehall Night line-up includes Bounty Killer, Busy Signal, Alkaline, Spice and QQ – and the aforementioned Mr. Vegas and I-Octane. For more info and tickets, check here. Marcia Griffiths, the undisputed queen of reggae, hit Jamaica, Queens to celebrate 50 years in the music biz at Groovin’ In The Park this June 29th. The upscale affair attracted 25,000 punters with a line-up that boasted some of the greatest names in reggae history – many of whom have worked with Marcia at one time or another. With at least half a dozen outfit changes, Griffiths was prepared for anything. She first hit the stage around 3pm – warming things up with her international pop hit ‘Electric Boogie’ – and kept going strong with intermittent breaks until 9pm. Highlight guest spots included Lady G, Ken Boothe and Bob Andy – one of Jamaica’s greatest songwriters, who sang ‘To Be Young Gifted And Black’ with Marcia, the 1970 Nina Simone cover which ended up at five on the UK singles chart. Judy Mowatt also joined Marcia for a Bob Marley medley, reprising their roles as Marley’s backup singers. The climax came when Beres Hammond hit the stage. As he ran through his usual set – ‘What One Dance Can Do’, ‘Full Attention’ and ‘I Feel Good’ – Beres had the girls screaming his name and singing along.